I am off to see the fields of flowers in Carlsbad. I hope your weekend is full of sunshine and bubble blowing. 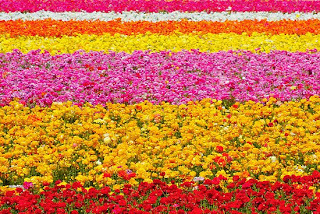 I saw that picture and thought "That looks just like the flower fields in Carsbad." You were so close to me. Did you go shopping at the outlets? I was just there a few days ago. I do a lot of my shopping there. I waved at you from the freeway. You live in a beautiful place. I wish I could have dropped by to surprize you. CJ was having some issues and we had to hurry and get home. So sad. I wanted to bring you some flowers and give you all a big Auntie Kat hug.